Many political analysts and media pundits argue that the Republican Party has a “race problem” when it comes to national elections. The logic is that Latinos and Asian Americans constitute the two fastest growing segments of the population, and they tend to vote Democratic, most notably in the 2008 and 2012 presidential elections. 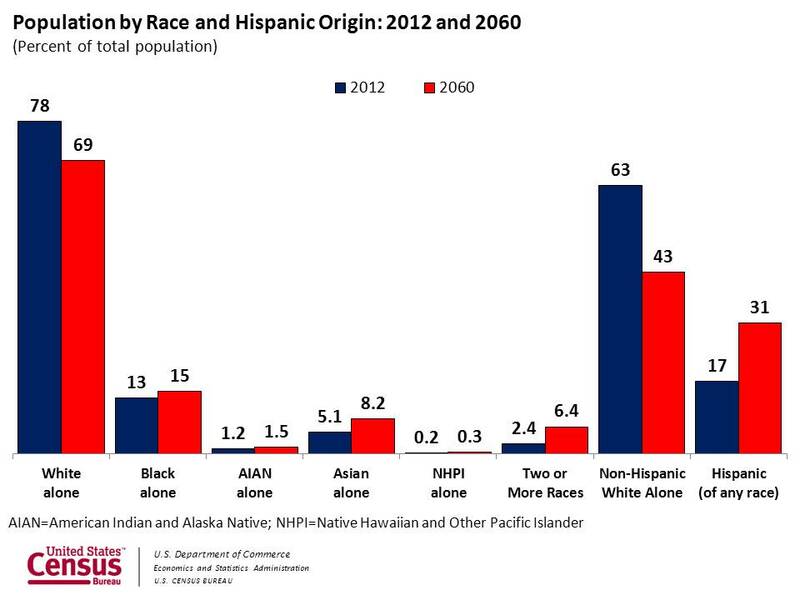 Projections suggest that the proportion of the electorate that is Latino and Asian American will continue to increase; therefore, the proportion of Republican votes will decline. But two considerations should make us pause before ringing a death knell for the GOP. First, research shows that Latinos and Asian Americans have weaker partisan attachments than blacks and whites. The battle for the allegiance of these largely uncommitted groups isn’t over yet. Which Latinos and Asian Americans might be most susceptible to Republican appeals? Recent research suggests that social exclusion can lead Asian Americans to identify as Democrats. The idea is that upon experiencing discrimination, Asian Americans decide to ally themselves with minority constituencies that also experience discrimination, as well as the party thought to represent those constituencies – the Democratic Party. By this logic, those ethnic minorities most likely to lean Republican should be those least likely to suffer discrimination: those with light skin. Consistent with this line of thinking, the relationship between skin color and partisan preferences among Latinos and Asian Americans is illustrated below. I begin by analyzing a nationally representative sample of Latino citizens interviewed as part of 2012 American National Election Studies (ANES). The following plots show predicted values of party identification and predicted probabilities of voting for Democratic candidates in 2012. These are based on analyses that also account for education, age, gender, income, and whether people were born in the United States. The results show that lighter-skinned Latinos are more likely than darker-skinned Latinos to identify as Republican and to vote for Republicans. For example, in the 2012 election for Senate, the darkest-skinned Latinos are estimated to have a 98 percent chance of voting for the Democrat, whereas the lightest-skinned Latinos are estimated to have a 43 percent chance. Unfortunately, the ANES has too few Asian Americans to run a comparable analysis. Moreover, skin color was measured by the interviewer, perhaps imperfectly. It is possible that an interviewer’s estimate of a respondent’s skin color is influenced by the interviewer’s perceptions of the respondent’s political views – if, for example, the interviewer holds a stereotype that Obama supporters are dark-skinned. To address these limitations, I examine an additional dataset: the recently released 2008 Collaborative Multi-racial Post-election Survey (CMPS). This survey conducted interviews with a large number of Asian-American registered voters, including interviews in Mandarin, Cantonese, Korean and Vietnamese. Furthermore, the measure of skin tone is obtained through self-reporting, mitigating concerns about interviewer biases. The graphs below reveal a pattern for Asian Americans that is similar to that of Latinos, albeit somewhat attenuated: light-skinned Asian Americans are more likely than dark-skinned Asian Americans to identify as Republican and vote for Republicans if they are lighter-skinned. The one exception is the relationship between skin tone and voting Democrat for Senate in 2008, which does not reach conventional standards of statistical significance. The self-reported measure of skin tone is undoubtedly imperfect as well. Still, it is striking that across two different ethnic groups, two national datasets, and two different modes of measuring skin tone, lighter-skinned individuals are more likely than dark-skinned individuals to prefer Republicans. A second weakness of the Republican “race problem” argument is its assumption that the proportion of whites voting Democrat will remain the same even as the white share of the population dwindles. But research suggests that whites may interpret these demographic trends as a threat. Indeed, recent research suggests that merely informing whites of changing demographics increases racial and ethnic prejudice as well as support for the Republican Party. It is possible, therefore, that the coming years will witness movement toward the Republican Party from: (1) light-skinned Latinos; (2) light-skinned Asian Americans; and (3) prejudiced white Independents and white Democrats. Spencer Piston is an assistant professor of political science at Syracuse University.